Located in the ocean between Manzanita and Cannon Beach, Oregon, the Cape Falcon Marine Reserve site is a 20 square mile area dedicated to conservation and scientific research. Just like parks and protected natural areas on land, there are multiple benefits of protected areas in the ocean. They conserve ocean wildlife and biodiversity. Marine Reserves sites also serve as living laboratories, where we can learn about marine reserve protections and Oregon’s ocean environment to help us maintain our seas for future generations. The marine reserve is managed by Oregon Department of Fish and Wildlife. Learn more about regulations and Oregon’s other marine reserve sites by visiting Oregon Marine Reserve website and their Cape Falcon Marine Reserve page. The Friends of Cape Falcon Marine Reserve is fiscally sponsored by the Lower Nehalem Community Trust. The Friends group is comprised of volunteer citizens and organizations working to increase understanding and appreciation of the marine reserve. We coordinate education events and promote scientific research in the area through a number of citizen science projects. Join us at an event, sign up for our newsletter, and connect with us on social media! This page is partially supported by the Economic Development Council of Tillamook County and Visit Tillamook Coast. Support the Friends of Cape Falcon Marine Reserve. NOTE: Add “Friends of CFMR” in memo. 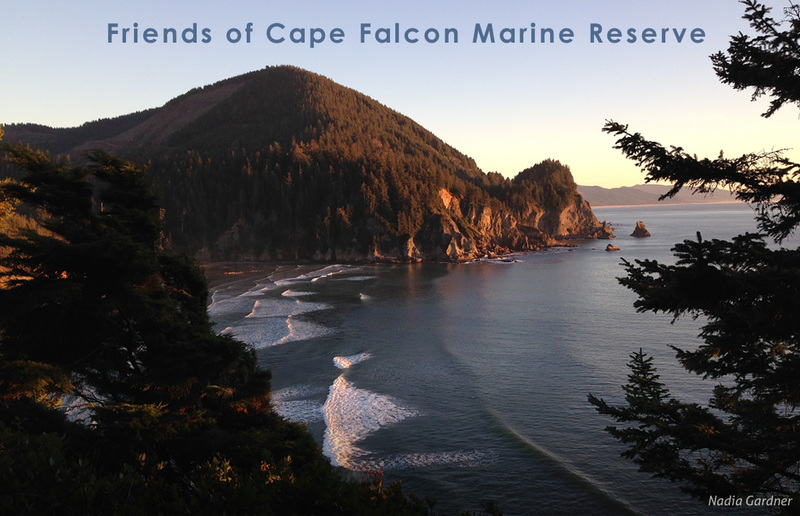 Sign up to receive the Friends of Cape Falcon Marine Reserve newsletter.